Lets’ continue our summer backyard entertaining series, shall we? By the time the 2nd pick-your-own strawberries adventure happened this June, we were already through strawberry dessert, strawberry pierogies, and generally eating strawberries and (and cream!) for breakfast, lunch and dinner. It was time for some experiments to get through the rest. Looking at a huge basil plant in the back yard with its glossy, bright green leaves, an idea hatched. 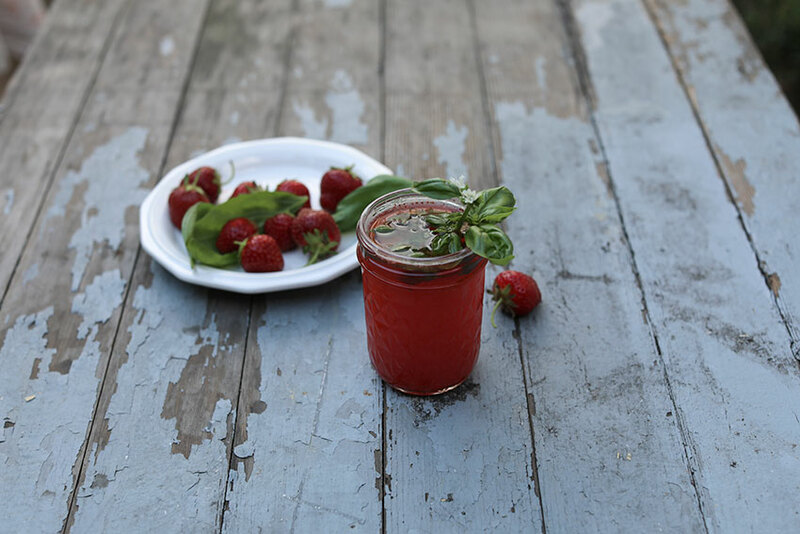 I remembered that I have seen a recipe for a strawberry and basil lemonade with bourbon, another ingredient from clean-your-pantry-shelf list. The loosely adapted recipe follows. 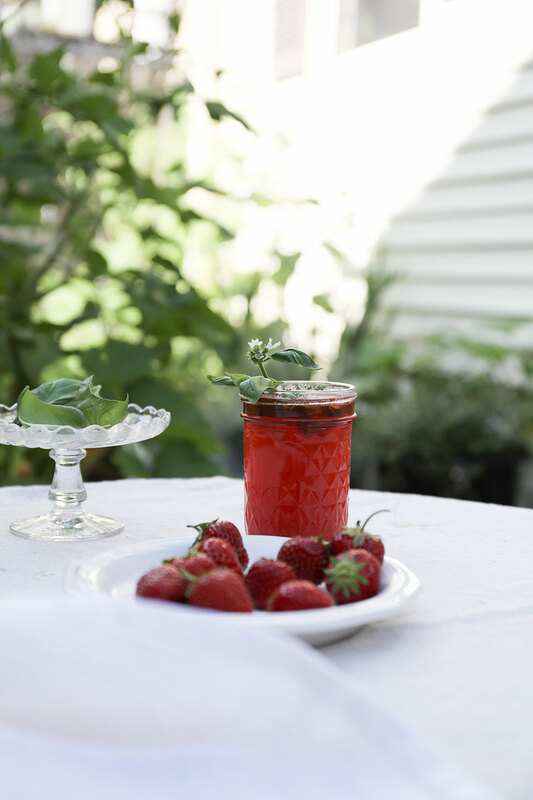 Start with ripe strawberries, and I promise, it will work, everything else is just a matter of personal taste, more sweet or more tart…or more bourbon! 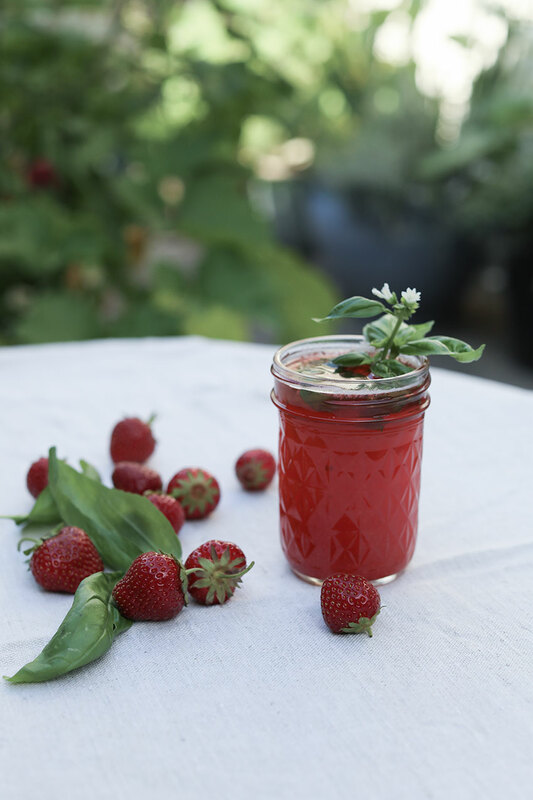 Puree strawberries in a blender with a bit of water, add a cup of water and heat on the stove until puree boils, add sugar and stir until dissolved. Cool completely. Strain through a mesh sieve (do not discard solids, more on this later!) Chill sirup for at least an hour. In a pitcher, combine syrup, ice water, lemon juice, and basil. Stir. 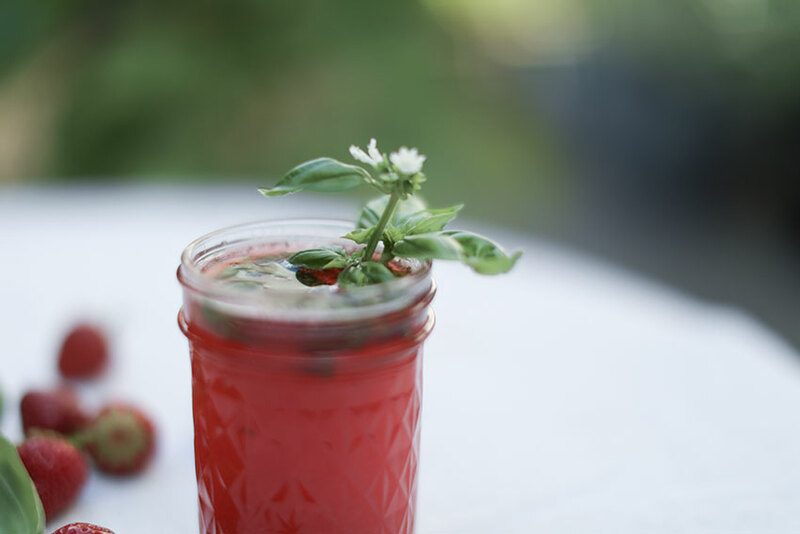 Serve over ice decorated with basil sprig, blooming, if you have it! As for the solids saved from the puree, I find it irresistible as a sauce for french toasts, used instead of maple syrup. 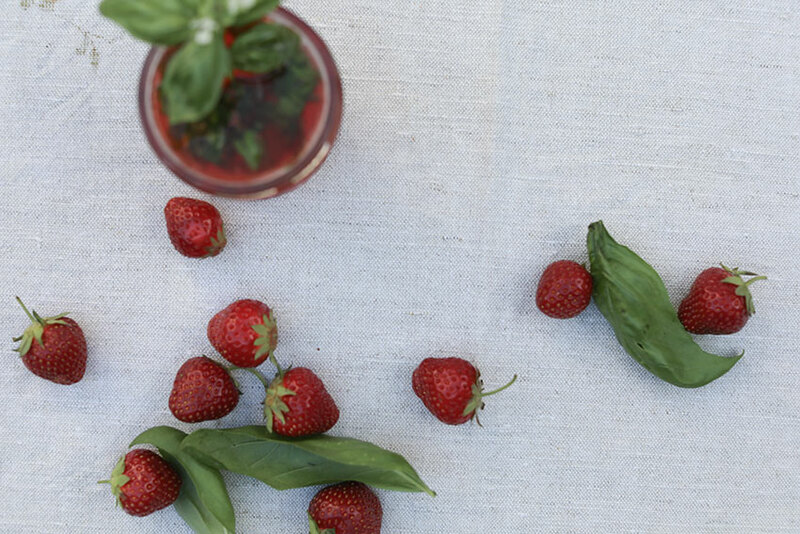 Assuming the strawberries were ripe, you cannot go wrong. Just save little of the puree to dilute, if needed. Would be as good on crepes, too!